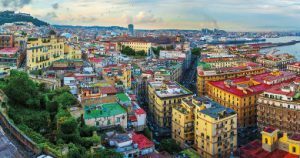 Turin is famous for its Shroud, said to bear the image of Christ, but there’s so much more to Italy’s first capital city, with its elegant boulevards and beautiful architecture. It’s the home of FIAT, whose former Lingotto building – now a complex of shopping arcades, concerts halls and hotels – still features the car manufacturer’s rooftop test track. If winter sports are more your thing, Turin – which hosted the 2006 Winter Olympics – is the ideal gateway to numerous ski resorts. Often overshadowed by its famous neighbour Barcelona, this exciting Catalonian city is a gem in itself. Fans of Game of Thrones may recognise the city from its leading role in the popular TV series, while it regularly plays host to music, arts and food festivals. Experience a bird’s eye view of Girona from a hot air balloon or enjoy an incredible panorama from the well-preserved Roman walls. With the mighty Vesuvius as its backdrop, Naples is a bustling sprawl of history, culture and architecture. As the home of pizza, Italy’s third-largest city is naturally is a gastronome’s delight, with Michelin-starred restaurants aplenty. Venture a little further to enjoy the beautiful Amalfi coast, stunning Sorrento and the gorgeous island of Capri, or hop on a train to explore Pompeii to view an incredible snapshot of Roman life in the first century. 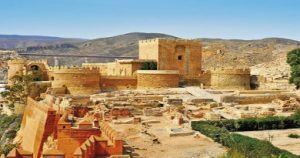 Sun, sea and stunning beaches – what more could you ask of a summer destination, and Costa Almeria has it in spades. Although nestled on Spain’s southern coast, and one of the country’s sunniest spots, it’s less touristy than neighbouring areas. You might recognise its rugged coastline, remote nature reserves and Europe’s only desert from the numerous movies that have been filmed here, among them Lawrence of Arabia and A Fistful of Dollars.